Rice – Combine rice, water, chicken broth, and salt in medium pot on high heat. Bring to a boil, stir, and reduce heat to medium-low. Simmer for approximately 30 minutes. 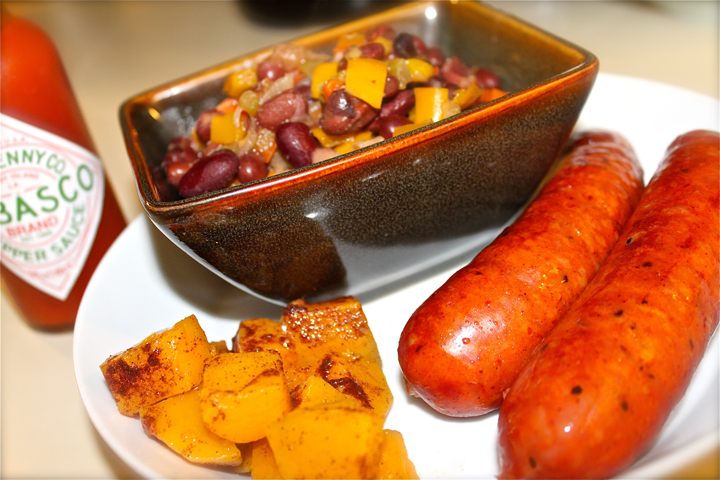 Beans – Coat medium pot with olive oil on medium-high heat. 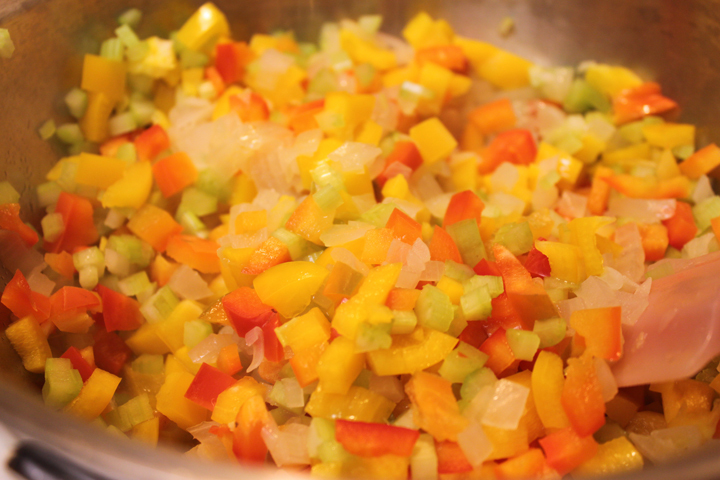 Add onions, bell peppers, and celery to warm pot. Saute with occasional stirring to brown vegetable mixture. 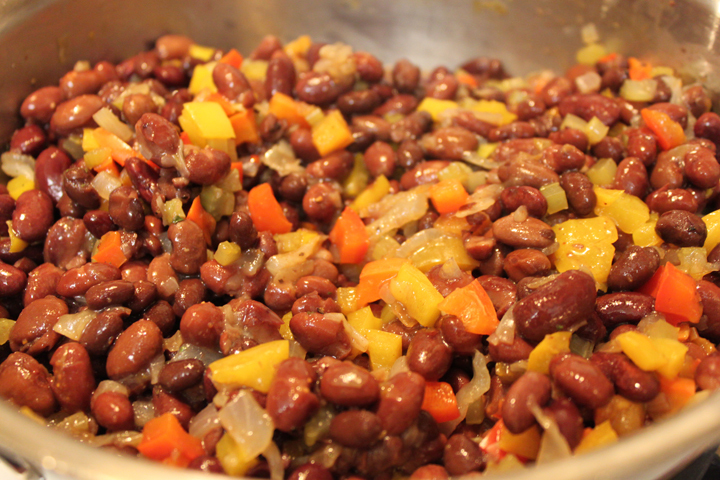 Reduce heat to medium-low, add kidney beans and garlic salt, cover and simmer for 15 minutes. 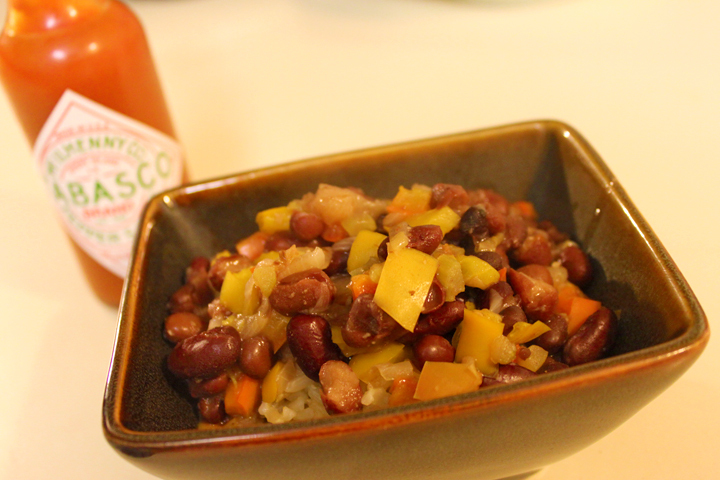 Serve Beans over Rice with Tabasco Sauce. Accompany with Andouille Sausage (optional).